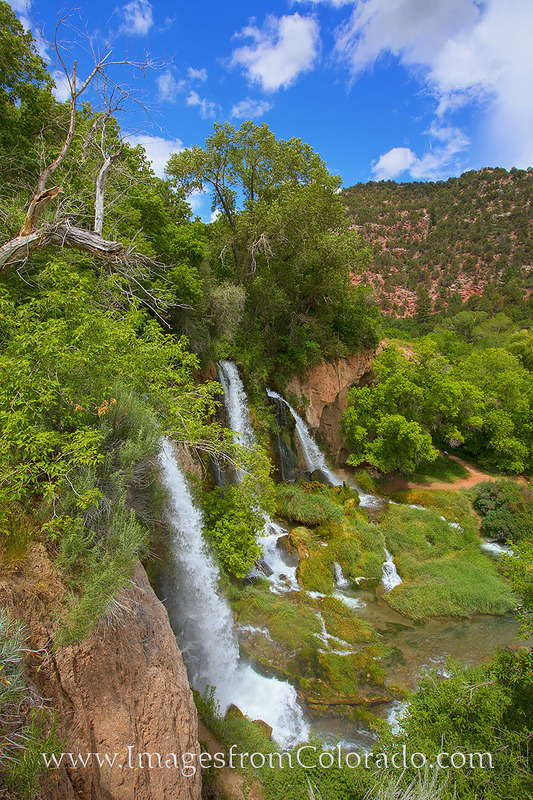 These three watefalls plunge over a 70 foot cliff at Rifle Falls State Park northwest of Glenwood Springs. The exposure time on this image was shorter in order to capture the detail of the water as it tumbled into the valley below. Photo © copyright by Rob Greebon.